We will be on vacation starting from Aug 15, 2015. Sorry for any inconvenience. Between Aug 17 and Aug 25, you can get $20 off (with over $150 purchase) at NCIX when you pay with PayPal. I found this offer in my PayPal online account. You can log-in PayPal, then click "Wallet" to see if you got this offer. Ebates.ca is offering a "Back to School" promotion. You will find everything you need for school and get double cash back. Select retailers including indigo.ca, Old Navy,Sears, Staples, Amazon.ca, GAP, Lenovo, shop.ca, HP, Canon, Mark's etc etc. 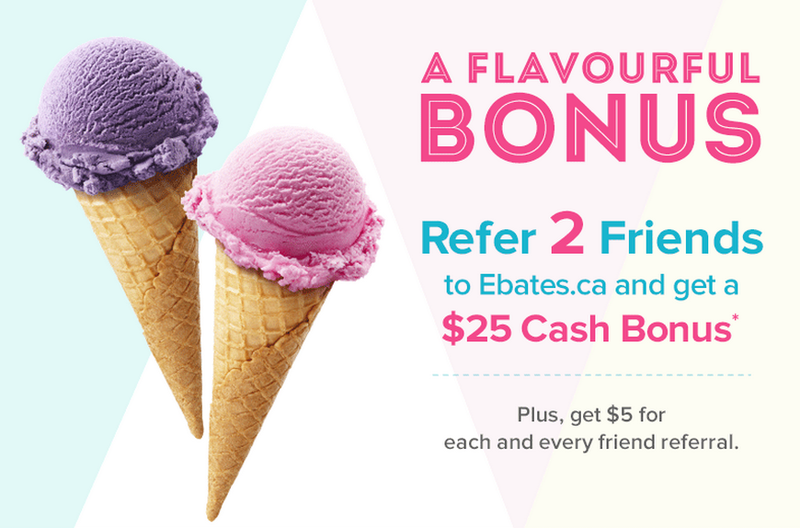 At the mean time, as a Ebates Canada member, you can get a $25 cash bonus by referring 2 qualified referral friends to ebates.ca before Sep 30, 2015, which is in addition to the normal $5 base bonus. BeautyBoutique.ca is the makeup division of Shoppers Drug Mart. So, you can get Shoppers Optimum points on purchase from their website. By Aug 14, 2015, you can get 8000 Optimum points (value $10) on your first purchase at their website. There is also FREE SHIPPING over $75 purchase. Use promo BRINGBEAUTYHOME at checkout. Note: BeautyBoutique.ca is unable to accept Optimum Points as a form of payment for now. 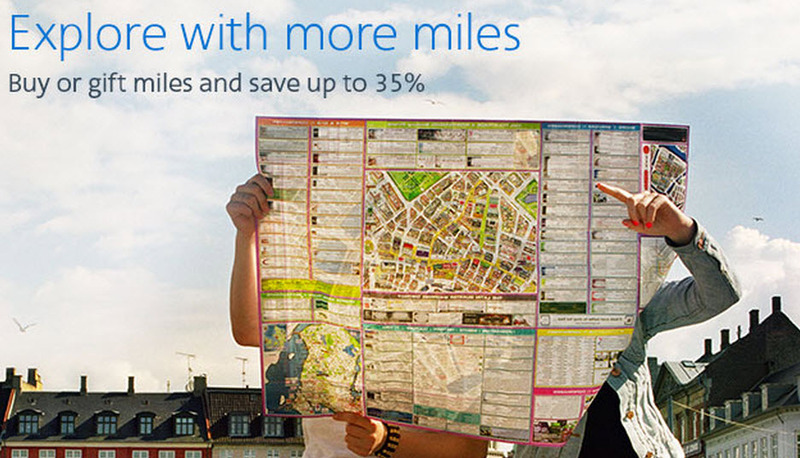 As a AAdvantage member, you can save up to 35% when you buy or gift AAdvantage miles before Sep 3, 2015. You must purchase at least 6,000 AAdvantage miles or more in a single transaction to get this offer. Note: Transactions are nonrefundable and nonreversible. 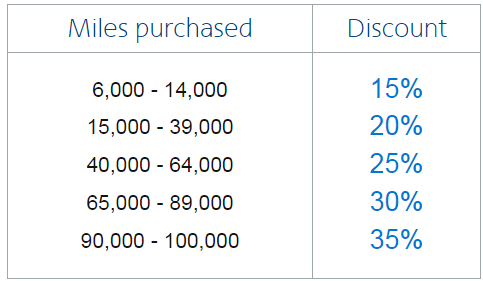 AAdvantage accounts less than 30 days old are not permitted to Buy or Gift Miles. From now till 31 December, IHG Rewards Club members enjoy up to 35% off room rates and you can also earn up to 15,000 bonus points with just four stays at any of our hotels and resorts across Asia Pacific (excluding China, Hong Kong, Macau and Taiwan), Middle East and Africa. Online registration is needed. From August 7 – 15, you'll earn 2X Aeroplan miles at participating retail partners, including Home Hardware, .Shop.ca, Aeroplan eSTORE, FYidoctors, Marchand Giguere. 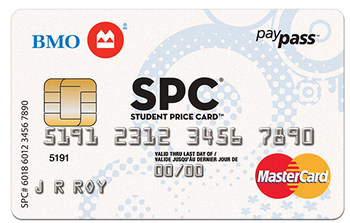 BMO SPC Cashback MasterCard is only for students. No annual fee. No credit history for application. Extended Warranty and Purchase Protection are included. With this card, you can get exclusive SPC (Student Price Card) discounts (usually 10-15% off in many stores) and 1% CashBack on every purchase. If you apply before Nov 2, you can earn $50 bonus and be entered for a chance to win free tuition and books (up to $10,000). It was only 0.5% cashback before, but now it is 1%. If you have the old version of this card, you need to call BMO to get the new 1% cashback rate. From my point of view, this is the best student credit card in Canada. When you apply the Capital One Aspire Travel World Elite MasterCard before Aug 31, you can get $250 cash back (once approved). This is the highest ever GCR bonus for a credit card application. In addition to this $250, you can also get 10,000 welcome miles from Capital One (a value of $100). • A requirement of this card is a minimum personal income of $70,000 or household income of $120,000. Register today for the "Get Online and Get Going" promotion and earn 2,000 bonus Carlson Gold Points per night during eligible Stays at any Carlson Rezidor hotels worldwide when you make your reservations on a Carlson Rezidor website or mobile app. Promotion ends September 27, 2015. One more program joins the selling-points-game. Until Aug 31, you can earn 30% bonus when you buy 50000 or more points from Hyatt Gold Passport program. Note: GST/HST will be charged to Canadian residents (Unfair!!!). 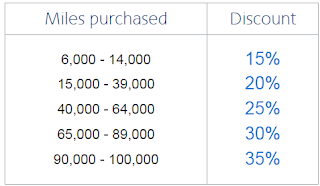 Purchased points are not refundable and transactions are non-reversible. You will earn 3 Aeroplan miles for one dollar spent online at Costco.ca before Aug 3, 2015. Note: To receive Aeroplan Miles, you must register an accurate Costco membership number, Aeroplan Number and email address in the designated boxes on the registration page. You can earn 50,000 Hilton HHonors points when you stay four nights or more in 90 days by Jan 7, 2016. Note: it is 4 nights here, not 4 stays. Online registration is needed (90 days start from registration). If you are already a HHonors member, this offer is targeted (check your email box). But if you are not a HHonors member now, the good news is - just click on the Enroll button to get started and this will automatically register you for this promotion. 50,000 bonus points for only 4 nights, this is a quite good offer. If you can find a low-price Hilton hotel, this can roughly mean 4 FREE nights for you. 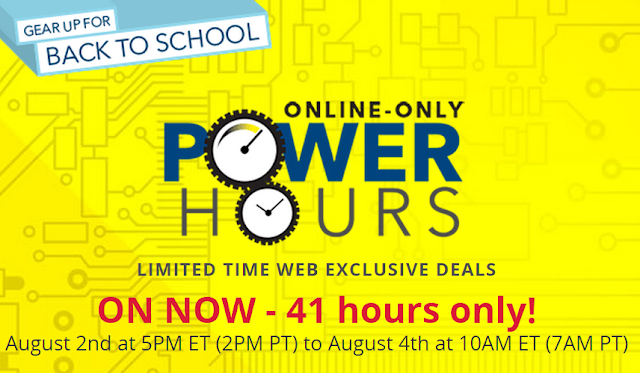 From now to Aug 4, BestBuy is offering a "Back to School" online sales, named "Power Hours". The deals are not that great, but if you are about to buy some computer/laptop/TV/smartphone etc, you can still go there and have a look. There is a online rumor that Capital One may discontinue the IHG Rewards Club World MasterCard in the near future. From my point of view, this is actually a quite good card. 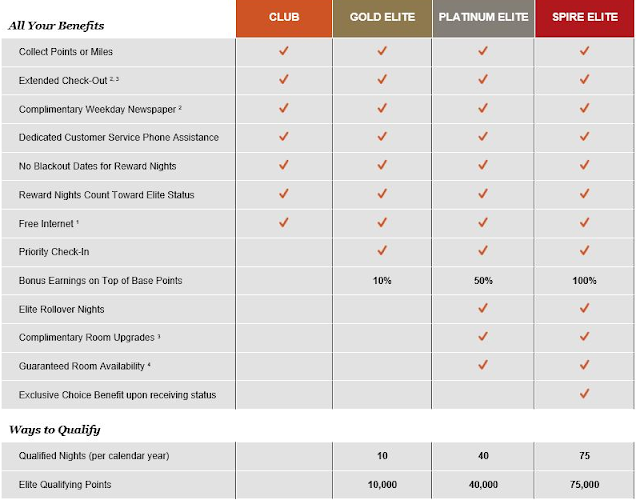 With IHG Platinum status, you can get good benefits from IHG group (see table below). 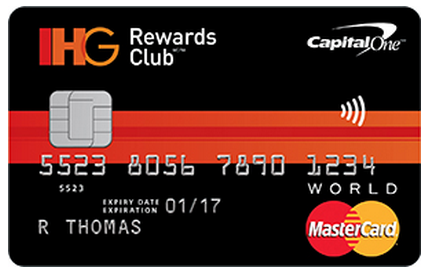 Plus, if you spend $30000 per year on this card, you will get $30000*2+5000*3=75,000 IHG points. These points are Elite Qualifying Points. With that, you can reach IHG Rewards Club’s new top membership level: Spire Elite, which can bring 100% bonus points on stays and an exclusive Choice Benefit of either receiving 25,000 points or upgrading a friend or family member to Platinum status. Therefore, you can get 100,000 points + SPIRE Elite membership on this card every year. If you use this 100,000 points on PointsBreak, you can get 20 nights in IHG hotels. This is a quite amazing return rate, as long as you can spend at least $30,000 per year on this card (as this is a MasterCard, you can use it in Costco).